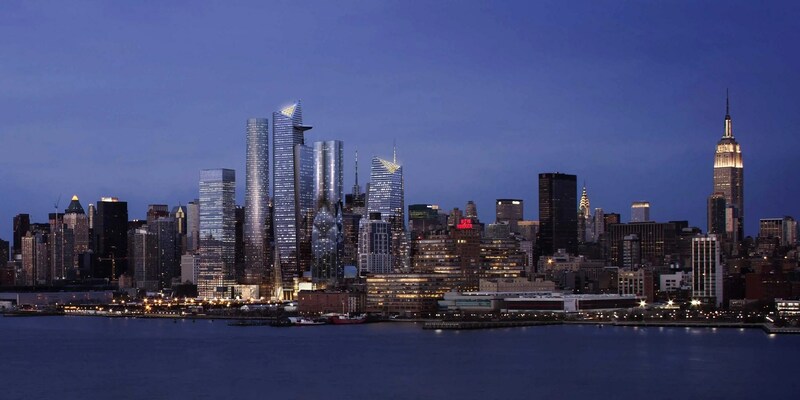 A rendering of the future view of Hudson Yards from New Jersey at night. New York City is constantly evolving as new skyscrapers shoot into the sky.And adding to the city’s already dynamic skyline is Hudson Yards, a massive new development on Manhattan’s far west side. 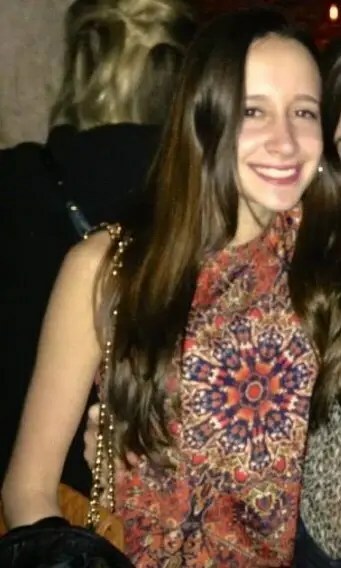 The $20 billion project is a joint effort between real estate firm Related Companies and real estate investment, development, and management company Oxford Properties Group. The first phase of Hudson Yards is slated for completion in the next four years. The complex, which will sit between 10th and 12th Avenues and run from 30th to 34th Street, will include public parks, office towers, shops, restaurants, and more. It will be made accessible by an extension of the existing No. 7 subway line. We recently got a tour of the construction site and renderings of what Hudson Yards will look like when it’s complete. Keep reading to see what the future holds for Manhattan’s West Side. 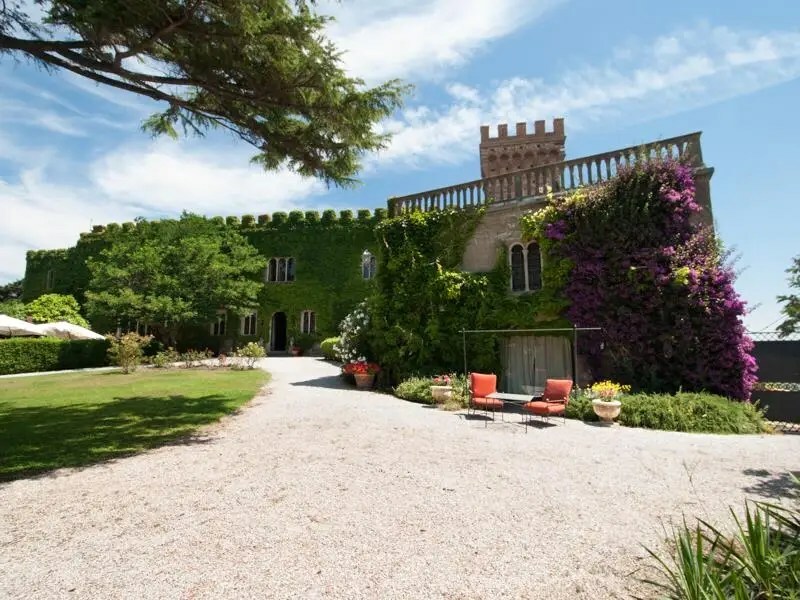 This may be your one opportunity to own a castle in Tuscany.The 16th-century Castello di Magona in Livorno, Italy, is now on the market for $16 million through Sotheby’s International Realty. The home was built in 1529 and was formerly owned by Leopoldo II, Grand Duke of Tuscany, according to Architectural Digest (via Curbed). The 29,909-square-foot castle sits on 10 acres and has views of the Mediterranean Sea and Elba Island, along with the beautiful Tuscan countryside. Inside the home, special features include hand-painted frescoes, intricate ceilings and floors, and even some suits of armor. Sergey Brin helped build one of the most successful technology companies in the world: Google.Today, Google does a little bit of everything — from email, to wearable technology, and smartphone software. But that wasn’t always the case. When Brin and CEO Larry Page built Google, they focused on one specific problem: revolutionizing the way people search the web. Here are a few quotes from Sergey Brin that provide some insight into Google’s origins and the general mindset behind the company. 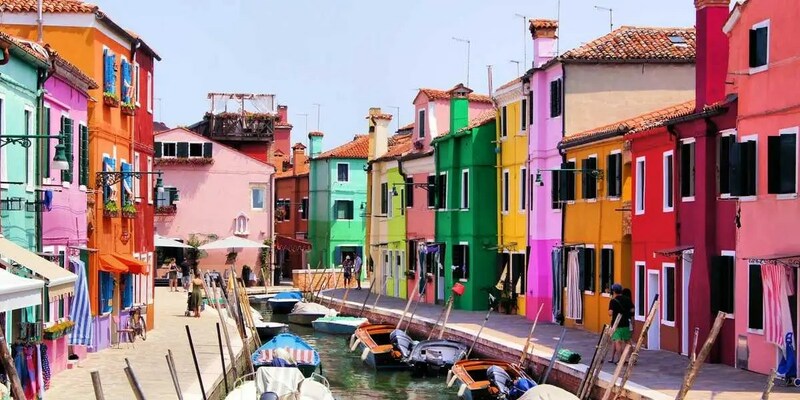 We included important classics like Rome’s Colosseum and Venice’s canals, but also added more obscure spots, like the gardens of the Villa d’Este and the natural hot springs of Saturnia in Tuscany.